The 1008/1010 carbon steel notched shim has a matte finish and a standard tolerance. The notched shim, also known as an arbor shim, fits on a keyed shaft to lock it into place. The 1008/1010 carbon steel material provides good strength. It is magnetic. The matte finish provides a surface that reflects minimal light and has a dull appearance. Shims are thin pieces of material placed between objects for a variety of uses, including added support, improved leveling, increased insulation, tighter seals, or better spacing. They also can be used to fill gaps between machine parts that are prone to wear. Shapes include round, notched, and slotted. Corrosion resistance describes the material's ability to prevent deterioration caused by atmosphere, moisture, or other medium. Wear resistance indicates the ability to prevent surface damage caused by contact with other surfaces. Hardness (commonly measured as indentation hardness) describes its resistance to permanent surface deformation. 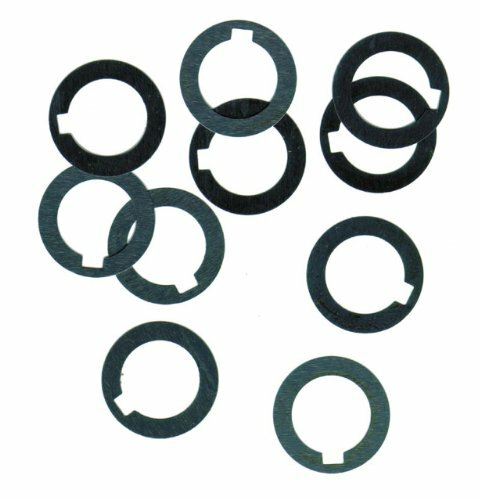 Brand: Small Parts | Manufacturer: Precision Brand Products, Inc. 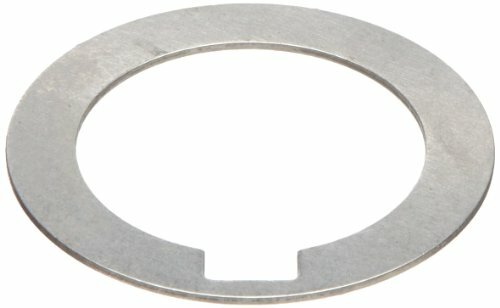 The 1008/1010 carbon steel round shim has a matte finish and a standard tolerance. The 1008/1010 carbon steel material provides good strength. It is magnetic. The matte finish provides a surface that reflects minimal light and has a dull appearance.